JAKARTA — Entering the compound of the Association of Southeast Asian Nations Secretariat in Jakarta is simple. Show up at the gate, flash your identification, and after a quick call to the front desk for clearance, you are in. Apart from a small souvenir shop and a gallery of ASEAN history, there is not a lot to see inside the headquarters of the 49-year-old organization. 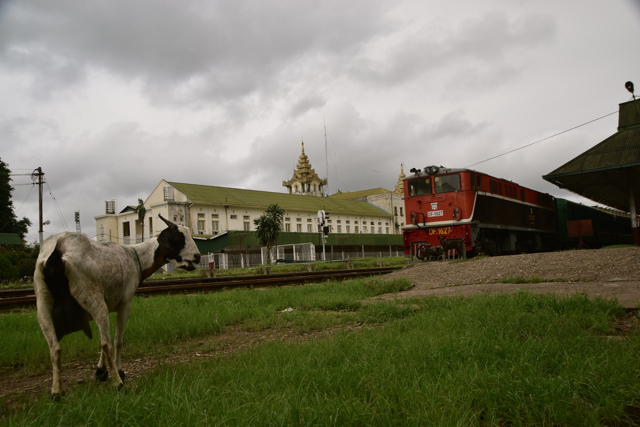 Unlike the imposing and often inaccessible buildings of the European Union in Brussels, ASEAN’s low-rise offices sit in the shadow of a partly constructed overhead railway in the southern part of Indonesia’s traffic-clogged capital. 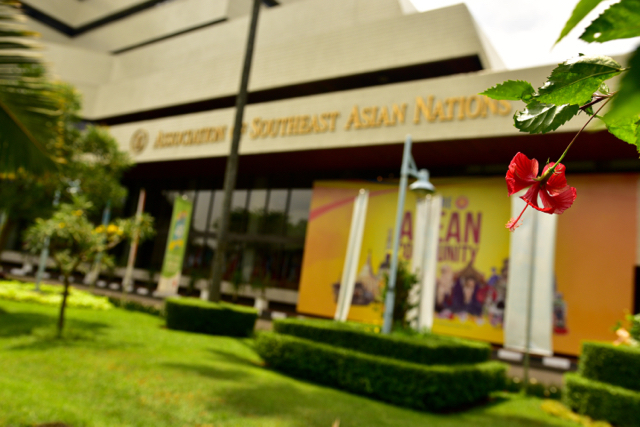 Nine months after the group’s 10 members established the ASEAN Economic Community, which aims to promote the free movement of goods, services, capital and labor, the headquarters symbolizes both ASEAN’s aspirations and its limitations. The EU was previously known as the European Economic Community, but ASEAN’s adoption of the “community” moniker does not mean it will emulate Europe’s radical, sovereignty-pooling measures, such as a common currency, central bank and free movement of labor. ASEAN was established in 1967 on the back of a Thai attempt to mediate border disputes among Indonesia, Malaysia and the Philippines, but the bloc, now double its original size, with 10 member countries, has long ceased to have much influence over the region’s political and security affairs. While the EU has been criticized for centralizing tendencies that have alienated many European citizens, its member states must be democratic. ASEAN, by contrast, has welcomed autocracies and dictatorships and has been powerless to intervene in the face of human rights abuses. When Thailand’s army took power in a 2014 coup, ASEAN kept its collective head down rather than chastise the new regime in the region’s second-biggest economy. Rather, ASEAN’s focus is very much economic: “institution-light, outward-looking, and market-driven,” as the ADB’s Menon noted. ASEAN member states are mostly small to medium-sized economies, with vast differences in living standards between rich members like Singapore and poor ones such as Laos and Myanmar. Globally, the bloc’s relevance rests largely on how it positions itself alongside Asia’s giants. “Placed between the giant markets of China and India, we realized we would have nothing to offer if we [did] not create a single market,” said Tang Siew Mun, head of the ASEAN Studies Centre at Singapore’s ISEAS-Yusof Ishak Institute. For many member countries, roads, ports, airports and power stations are urgently needed to fulfill the AEC’s promise. HSBC, a multinational bank, estimates that Indonesia needs to spend more than $1 trillion on infrastructure by 2030, while the Philippines should allocate almost $400 billion over the same period. More developed economies, such as Malaysia, Thailand and Singapore, have less need to spend on upgrading infrastructure. But ASEAN’s poorest countries have large gaps to fill. 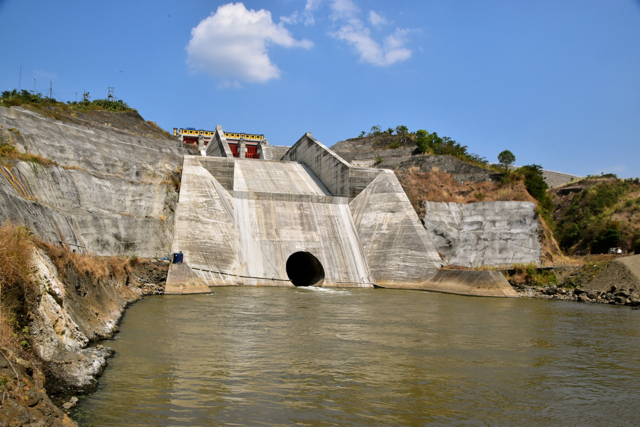 The ADB estimates Myanmar should budget between $10 billion and $15 billion a year on infrastructure and social spending through 2030. Within the region, business is eyeing infrastructure opportunities. Roongrote Rangsiyopash, president and chief executive of Thailand’s Siam Cement Group, said his company will increase investment in the region, including on projects such as a cement plant in Myanmar. ASEAN countries other than Thailand provide 23% of SCG’s total corporate sales. “We believe the economies of a majority of the countries in ASEAN are going to grow significantly,” as “a lot of countries are in the stage of developing infrastructure,” Roongrote said. 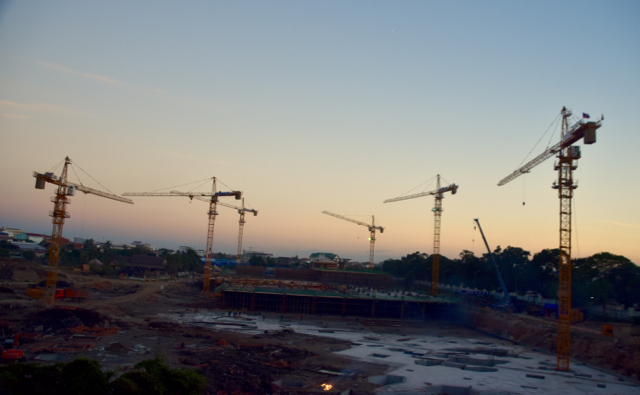 HSBC believes the AEC’s investment promotion provisions may help governments get funding for infrastructure, but regional lenders such as the ADB also have a big role. Another big financier is likely to be the China-led Asian Infrastructure Investment Bank, which was set up in 2015 to support Beijing’s plans to improve transport links with neighboring countries as part of its Belt and Road Initiative. The AIIB, with registered capital of $100 billion, has said it is keen to work on ASEAN’s “connectivity” initiatives. “If Indonesia and Malaysia and the Philippines, for example, want to have regional connectivity projects, then we are supporting them,” Luky Eko Wuryanto, AIIB vice president and chief administration officer, told the Nikkei Asian Review. But the AIIB is struggling to overcome perceptions that it is a strategic tool of its biggest shareholder, China, which is also ASEAN’s biggest trade partner. It is seen in the same way as the ADB, which is viewed as a Japanese-influenced lender, and the World Bank, which is seen as a U.S.-dominated institution. China’s growing influence in Southeast Asia has been overshadowed of late by regional divisions over Beijing’s claim to most of the South China Sea. Half of ASEAN’s member states — Brunei, Indonesia, Malaysia, the Philippines and Vietnam — have overlapping territorial claims in the area. But China’s allies in ASEAN, mainly Cambodia and Laos, have steadfastly supported Beijing’s line, preventing ASEAN from taking a united position on the issue. China has refused to accept a recent victory for the Philippines in an international tribunal ruling over Beijing’s claims to the sea — a judgment that ASEAN did not mention in its statement after its annual ministerial forum. Philippine President Rodrigo Duterte also recently said he would not raise the issue at the ASEAN summit on Sept. 6-8 in Laos. That leaves the bloc looking weak, even fearful, toward China, although member states are trying to put a positive spin on the issue. “We believe the result … has been very good in the sense that we have seen forward moves from China and the Philippines — they’re willing to begin discussions on this issue,” said Arrmanatha Nasir, Indonesia’s foreign ministry spokesman. But as China’s military heft grows, Southeast Asian defense spending is on the rise. It has doubled since 2000, according to data compiled by the Stockholm International Peace Research Institute, though ASEAN’s GDP has increased by 5% a year on average over the same period. Countries in the region with active territorial disputes are likely to continue to spend. “We are very weak in our external capabilities to protect our maritime resources. That’s why I said a while ago we need to upgrade our naval capabilities,” Philippine Defense Minister Delfin Lorenzana told the Nikkei Asian Review in June. The U.S. recently announced it would end its arms embargo on Vietnam amid growing tensions with China, while Hanoi said in August it would place rocket launchers on islands it claims in the South China Sea. Vietnam became the world’s eighth-largest arms importer between 2011 and 2015, according to SIPRI, although its economy is only the 48th-largest in the world. With no resolution in sight on conflicting claims in the resource-rich, strategically important waters, the dispute will continue “draining ASEAN’s energy,” said Teuku Rezasyah, a lecturer in international relations at Indonesia’s Padjadjaran University. 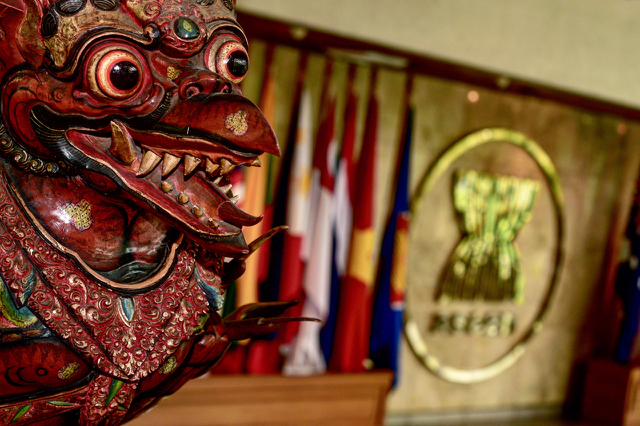 For the foreseeable future, ASEAN’s main focus is likely to stay on expanding the region’s economies and boosting economic integration, despite limits on how much sovereignty member states will cede. “The AEC is supposed to be a single market and single production base already,” said Ruth Banomyong, director of the Center for Logistics Research at Bangkok’s Thammasat University. Deeper financial sector liberalization is not due until 2020 as part of the AEC’s Banking Integration Framework. “A lot of stuff is happening, but [it is] not moving as fast as it needs to,” Gupta said at a recent forum. In 2013, a DBS attempt to take over Bank Danamon was blocked by Indonesian regulators. But with the AEC in its infancy, even sanguine business leaders are reluctant to talk up the community’s near-term impact. “The benefit since the start is still small, but it’s more of the impact on the mood. I think if we work together we can flourish,” said Tos Chirathivat, chief executive of Thai retailer Central Group, which has been expanding in Southeast Asia, including with some recent acquisitions in Vietnam. With a market of more than 600 million people, a combined gross domestic product of $2.5 trillion, and room for further growth, considering that ASEAN’s GDP per capita is a fraction of the average in the Organization for Economic Cooperation and Development, the bloc represents a clear business opportunity — particularly if the AEC can be fully implemented. 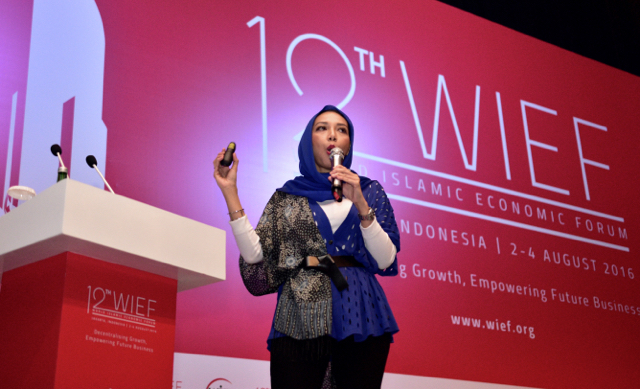 “ASEAN should be the first thing you put in mind now if you are starting a business,” said Shinta Witoyo Dhanuwardoyo, who two decades ago founded one of Indonesia’s first internet companies. For the region’s established business leaders, big cross-border deals have long preceded the AEC. Indonesian tycoon Anthoni Salim’s Hong Kong-listed First Pacific owns a major stake in PLDT, the Philippines’ largest telecom operator. “ASEAN certainly is an important market with us because the ASEAN economic integration is already there,” Salim told the Nikkei Asian Review last year. Jaime Augusto Zobel de Ayala, chairman and chief executive of the Philippines’ Ayala Corp., which has invested in water utilities and real estate in Malaysia, Myanmar and Vietnam, said he sees opportunities arising from closer economic cooperation. “People are agreeing on common standards, and I think all tides raise all boats,” he said. Some newer players in the region hope to see investment barriers come down. “We’re expecting that regulations will be more aligned, and that there will be single standards for certain industries,” said Ridzki Kramadibrata, managing director of Grab Indonesia. Grab is a rapidly growing taxi-hailing service that has operations in six Southeast Asian countries. Businesses from bigger, more developed economies will likely do well out of the AEC, even those from Indonesia, where the perception lingers that “we cannot compete,” according to Sandiaga Uno, vice chairman at the Indonesian Chamber of Commerce and Industry. “Three years ago people were saying you need to get out of this AEC,” said Uno, a candidate in Jakarta’s upcoming gubernatorial election. But for the tens of millions of tiny businesses such as street vendors and roadside shops, which are major employers in countries such as Indonesia and the Philippines, the AEC seems to be little understood. Tri Mardjoko, manager of the AEC Center at Indonesia’s trade ministry, has been meeting small and “micro” enterprise owners as part of his mission to spread the AEC gospel around the Indonesian archipelago. “There are myths and facts. One is that Indonesia … will be flooded with goods from outside, that the SMEs [small and midsize enterprises] from other countries will appear on every street corner,” he said. Another myth is that ASEAN needs to increase intraregional trade, which is only around half that of the EU. The ADB estimates that around 70% of intra-ASEAN trade is in components, which already reflects the region’s involvement in the globalized supply-chain system. While there are no concrete statistics yet to show whether the advent of the AEC has affected intraregional trade, there are indicators that it has made a difference, at least in the region’s biggest economy, Indonesia. “The utilization of COO [certificates of origin] for exports [within ASEAN] has increased 70% in seven months,” said Tri Mardjoko. Many economists believe ASEAN can help member states grow by enabling them to take advantage of free trade deals with China and also new and wider proposed arrangements, such as the U.S.-led Trans-Pacific Partnership and the China-backed Regional Comprehensive Economic Partnership. In turn, businesses see ASEAN not just as a means to just grow in neighboring countries, but as a platform for such international integration. “We also put our expectations in other pacts, such as TPP, in order to bring Vietnamese products to many other markets, taking advantage of the freedom of the market and new opportunities for investment,” said Nguyen Duy, managing director of Vietnam’s Kova Trading, a subsidiary of Kova Paint Group, a major paint manufacturer.